Today is JL&Co’s third anniversary! Three years ago on February 1, 2016, I woke up slightly terrified and insanely excited to chase my dream of starting a business. My life is wildly different now as a business owner than when I worked a 9-5 job. My days aren’t perfect or stress-free by any means, but I feel lucky that I get to design a career and life of my choosing. Each year on my business anniversary, I like to reflect on the day in 2015 that I quit my PR job, and the scary, yet exhilarating weeks and months that followed as I introduced JL&Co to the world. You know I love to spill all (transparency’s kinda my thing), and I’m doing just that in this post. See an income breakdown of how we earned money in 2018, the clients we loved working with, big moments that defined the year and what’s to come in year four. Read on for the annual State of JL&Co. Here’s an income breakdown of how exactly JL&Co earned an income in the third year in business. I set a financial goal to earn six figures ($100K) in 2018, and unfortunately, we fell just short of that goal. However, I’m proud that we did earn slightly more than we did in 2017, so I consider it a win. Slow growth is still growth. And while I felt a little discouraged by not hitting my goal, I’m giving it another go, and I’ve set the same $100K goal for 2019. Here we go again! 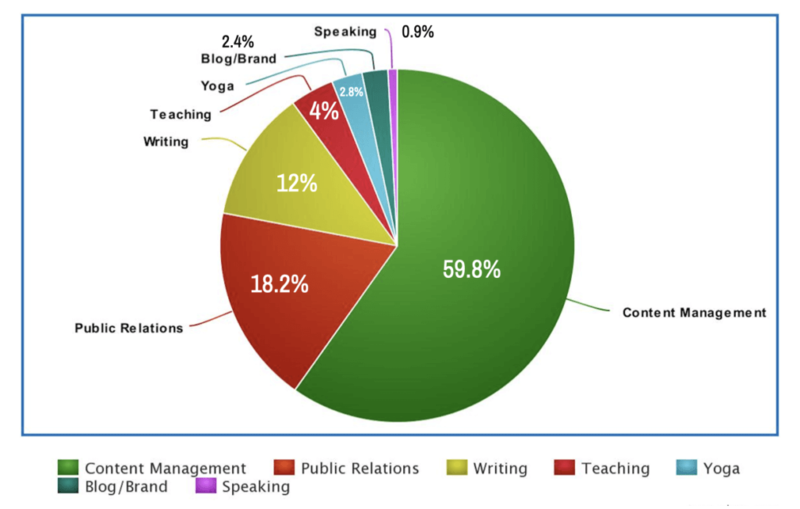 For the third year in a row, content management is JL&Co’s top service at almost 60%. Wow! I’m thrilled to see this area of the business growing, as this is the direction I see JL&Co moving in the future. I look forward to increasing this percentage even more in 2019, and hopefully bringing on another big content management client. JL&Co’s PR offerings grew in 2018. We welcomed a few new PR clients and projects which helped increase our PR breakdown to 18.2%, up from 12.3% in 2018. I set a goal to write more in 2018, and write more I did! We increased writing services this year to 12% from 9% last year. Part of this goal was to earn more bylines (I did a lot of writing for The Penny Hoarder and Craft Your Content) and to continue working with some of my steady content marketing clients like Cancer Treatment Centers of America and Temple Dental. Interestingly, I did no one-on-one consulting in year three of business! I did a bit of one-on-one consulting last year (accounting for less than 1%) and while I enjoy it, it definitely takes up more time for less money than working longer-term with a bigger client. I’m teaching even less yoga than I did before. When I first started JL&Co, I taught 5-6 classes/week, then last year dropped down to one class. I love teaching yoga, but to be honest, it’s not super lucrative and since I don’t envision myself ever teaching yoga full-time, it doesn’t make sense to teach more than 1-2 classes/week. I’m very happy teaching one class a week to keep my foot in the door and get my weekly fix of teaching just for fun. The blog earned some money in 2018! Between a fun partnership with the Valley Forge Tourism and Convention Board and affiliate marketing, the blog began bringing in some cash in 2018. I did my first paid speaking engagement in 2018. I absolutely love speaking to groups and have done many engagements over the years for various reasons, but in 2018, I got paid to speak to a group, and it was awesome. I taught a PR Writing class at Temple again in the fall! It was so fun to get back in the classroom, and as an added bonus, I met my newest team member Olivia through the class. I’ll be back in the classroom again this fall. Curious about the types of clients JL&Co worked with in 2018? Here’s a sampling of the clients we worked with in year three. Content management is truly what JL&Co does best. In 2018, we continued our work with long-time clients Muck Rack and The Write Life. In addition to managing both blogs, JL&Co helps with case studies, ebooks, email marketing and affiliate marketing. Excitingly, JL&Co brought on two new PR clients in 2018, in addition to continuing our relationship with Pennsbury Manor. We had a blast promoting the Mercer Museum’s racing exhibit and welcoming Houwzer, a super cool real estate startup that’s changing the way people buy and sell homes. As I mentioned in the income breakdown, it was fun to get back into writing, and adding some new bylines to my growing portfolio. Growing up in Montgomery County, it truly was such a thrill to have the opportunity to explore my own backyard with the Valley Forge Tourism and Convention Board through our partnership. Check out my winter getaway and spring getaway here. Year three was filled with highs and lows. 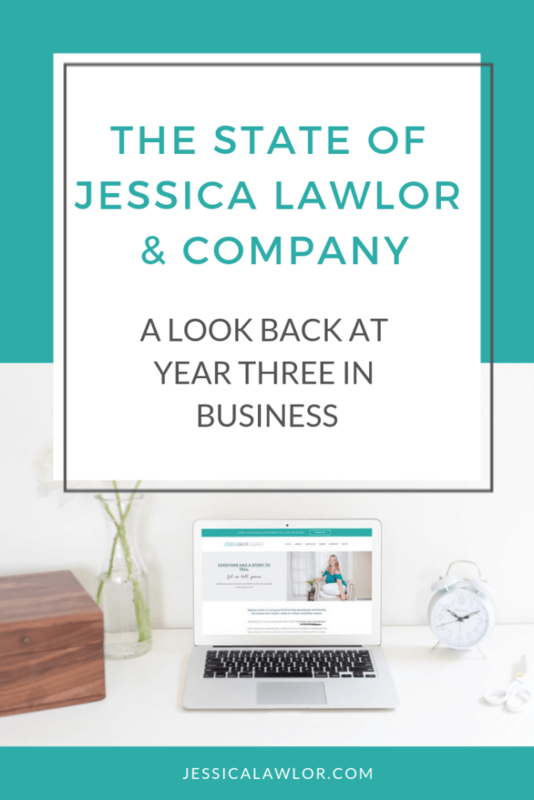 There were some major business and life-changing moments in year three of running JL&Co. Whether they had me over-the-moon excited or fraught with anxiety, these are the moments that defined JL&Co in 2018. The new JessicaLawlor.com launched in the fall! This little labor of love was a long time coming. Rebrands are challenging, filled with many tough decisions and lots of hard work, but I am so proud of the final result. And guess what? The site seems to be working! We already landed a new client, courtesy of the site redesign. I can’t say enough about my designer Michaela from Beachside Studio — she truly brought my vision to life. And also, as part of the process, I worked with my amazing friend and talented photographer Brian James on the photos you see throughout the site. It was such a relief to finally check this massive project off my list! I took three vacations. I know it might seem strange to include going on vacation in a blog post about my business, but I promise it’s not. Taking time away as a business owner isn’t easy (Hello, Type A control freak over here), but it’s incredibly important to take time away to decompress. In 2018, I enjoyed a trip to Punta Cana with my family in January, Jamaica with Tim in May and an unexpected visit to London in the fall to visit my sister after she moved there over the summer. And this year? I’m preparing to take THREE full weeks away from my business in March as Tim and I embark on our biggest trip yet — San Francisco, Hawaii and Australia! It feels good to have team members and processes in place that allow me to get away without having to worry about the business suffering in my absence. I know JL&Co will continue to chug along while I’m away — and I look forward to returning with a clear and inspired mind. Team JL&Co honed in on our core services. The website redesign process forced me to take a hard look at JL&Co’s services. As I tried to explain to Michaela the different parts of the business, she seemed confused and had many questions. 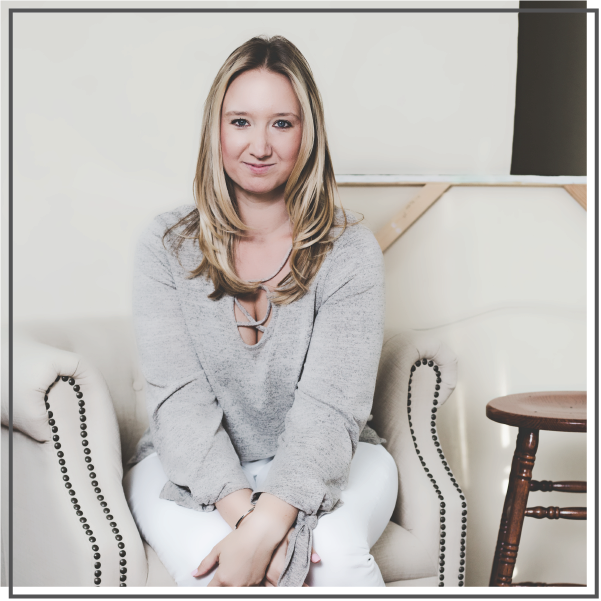 PR, content, blogging, social media, teaching yoga, speaking. I realized we were trying to do too much and trying to be too many different things. By clarifying our services (content management, content development and PR), we’ve been able to increase our work with current clients and bring on new clients that align better with our future goals. Plus, I’m more easily able to explain to people succinctly what it is that we do, so that’s a bonus. Taking on the wrong client led to two of the worst weeks I’ve experienced in business so far. In 2018 I got a little bit too excited and started chasing money, rather than chasing the right opportunities. There were a few scenarios in year three, one in particular, where I really paid the price when I didn’t listen to my gut and ignored the glaring red flags that were right in front of my face. This client experience led to the two most stressful, tear-filled weeks I’ve experienced since starting JL&Co. (Thank goodness I had the foresight to take this client on as a two-week test project to start, giving me an easy out when things started going downhill.) This experience was eye-opening, but had a happy ending! The free time I gained back from parting ways with this client gave me the space to pursue a summer of passion projects (including this website redesign). It all worked out the way it should have, and I learned a very valuable lesson, but it was definitely painful in the moment. I started setting realistic expectations for prospects/clients. Every year in business, I grow more and more confident in what I do and how I talk about my services and money with prospects and clients. This year, I implemented a pre-qualification questionnaire that I ask potential clients to fill out before we even get on the phone to discuss working together. I’m also getting comfortable sharing ballpark budget for a project before spending time writing a proposal. This helps me to eliminate clients who might not be a good fit right away, rather than wasting time on the phone or worse — time spent writing a proposal. I’ve also done a good job this year developing a consistent onboarding process for new clients that allows me to set realistic expectations for how our partnership will go upfront. I write A LOT here on the blog about running a business. Here are five of my favorite posts I wrote last year about entrepreneurship. With year three in the books, I’m excited to turn my attention to year four. My first year in business was about survival — can I make this work? In year two, I figured out yes, I can make this work, but I dealt with a lot of mental ups and downs. Year three was all about growth and taking things to the next level. What will year four bring? In year four, I look forward to continuing to grow the team, bringing on new clients (if that’s you, get in touch!) and getting more processes and project management tools in place. I can’t wait to see what happens, and I’m grateful to have you along for the ride. So with that, I’d like to say thank you. My clients who trust me and my team with their important work. My team, Rachel and Olivia, for their passion and dedication to JL&Co. My family and Tim for their unending love and support. My friends, including all of you wonderful readers who stay up-to-date with what I’m up to here on the blog or on social media. As I do every year, I’ll leave you with my absolute favorite quote — the one I come back to time and time again.